Although Aulis Sallinen has created successful works in numerous forms, Sallinen remains for many the ultimate Finnish opera composer. Two of his early stage works, The Horseman and The Red Line, were instrumental in creating a truly Finnish operatic repertory, and catapulted the composer to international acclaim in the 1970s. In 1958, while studying composition under Aarre Merikanto, Aulis Sallinen graduated with a school teacher's certificate, and in 1960, on completing studies under Joonas Kokkonen, he took the post of orchestral manager with the Finnish Radio Symphony Orchestra - one which he held for nine years. His approach to music is down-to-earth, and this has made itself felt in his compositional work too: he hones down his musical material to suit the nature of the instrument and has written pieces with a practical, utilitarian function. The most distinct feature of his music is his use of repetition and this may indeed be a legacy of the neo-classicism of which the later style of his teacher Aarre Merikanto is one example. 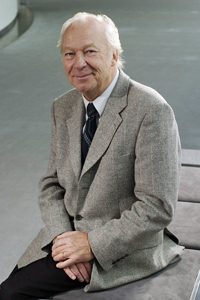 Sallinen's most important creative period began in the early 1970's. Granted a lifelong artist's bursary from the government, he left his job with the orchestra and, in 1976, gave up his teaching at the Sibelius Academy. Many of the pertinent features of his style had already made themselves evident from the mid-sixties onwards. Today, Sallinen's oeuvre comprises over sixty works. His emphasis has been on orchestral and chamber music and above all with opera, the medium with which he forged his reputation.